South Region Junior Girls County Match Week takes place next week at Bush Hill Park GC in Middlesex. 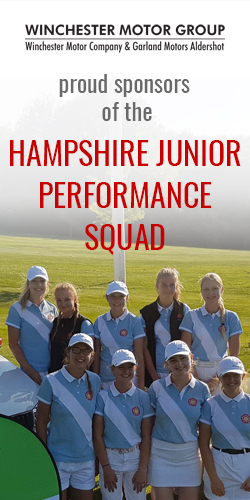 From all of us at HLCGA, we would like to wish the very best of luck to Junior Captain Beth Goater and her team. The girls will play singles matches each day facing Surrey and Kent on Monday, Middlesex and Sussex on Tuesday and will finish the week with a stableford competition on Wednesday morning. We all look forward to watching and supporting the girls and hope to see some supporters in Hampshire blue out on the course. Make sure you keep an eye on Facebook and the website for all the results.